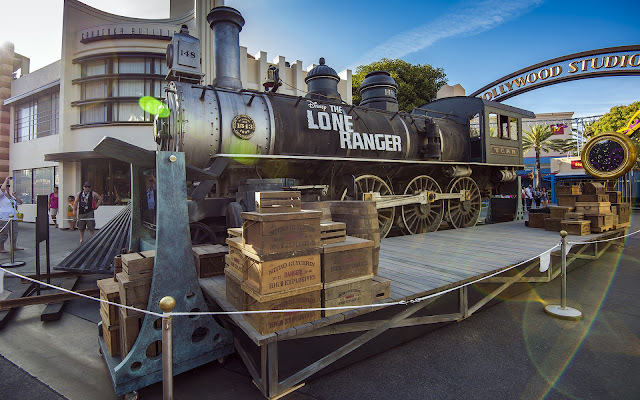 Earlier this week, something new and behemoth showed up in Hollywood Land... a full size locomotive, used in the filming of the upcoming The Lone Ranger movie. 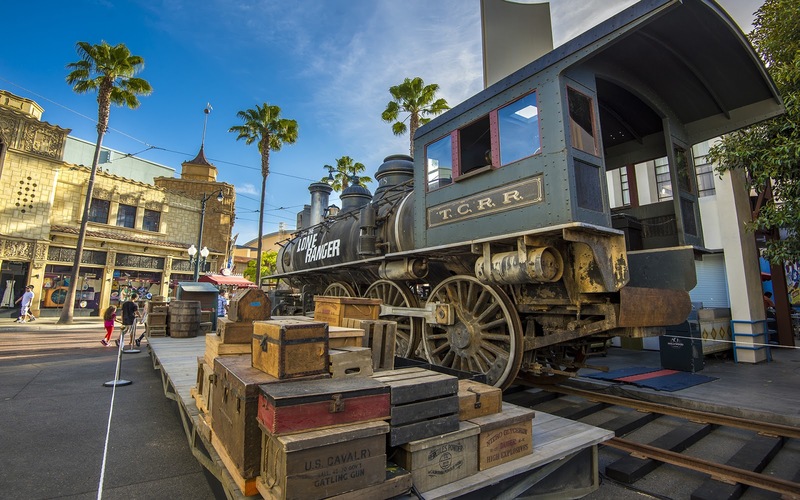 The set piece was on site for the movie world premiere, which was held at Disney California Adventure yesterday. In the meantime, guests wandering toward Mad T Party can stop to check out this mighty impressive steam engine and see a little preview of the movie on a couple of large screen televisions set up at each side. Something large is now stationed in Hollywood Land. It's even got a fairly obvious Hidden Mickey! OH, WOW! 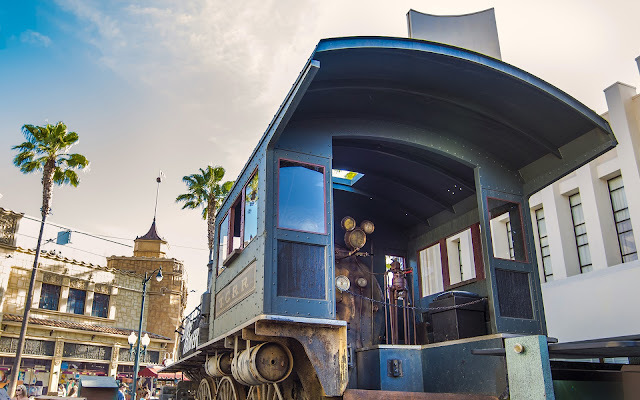 Your pictures make me wish I lived in Anaheim so I could visit Disneyland regularly. I would have loved to have seen that in person. Thanks, Cora! Being nearby is a great luxury, but going only once in a while makes it more special!